It’s almost that time of year again. On October 1st we will be hosting our second annual Fall Classic Cancer Tournament! 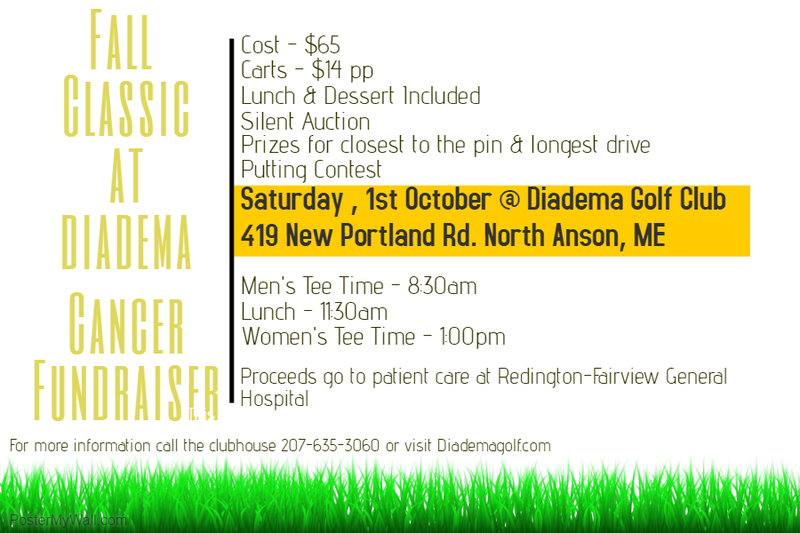 This is a fun day with great people, great food, and great prizes, and all for a good cause! The proceeds from this event will be donated to the Redington-Fairview General Hospital’s Oncology Department. Last year we were able to raise over $5,000! So gather up some friends and come join us again for this year! You can download our forms here.